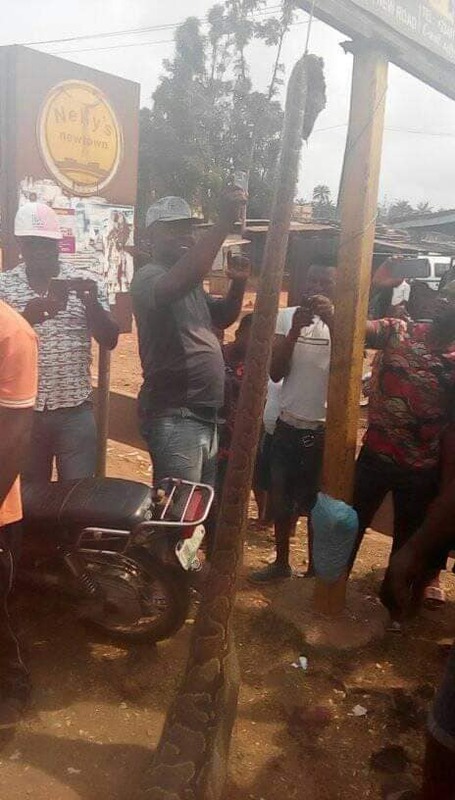 This morning, an incident between a dog owner and a python occurred at the crossroads of Oba in the state of Anambra. 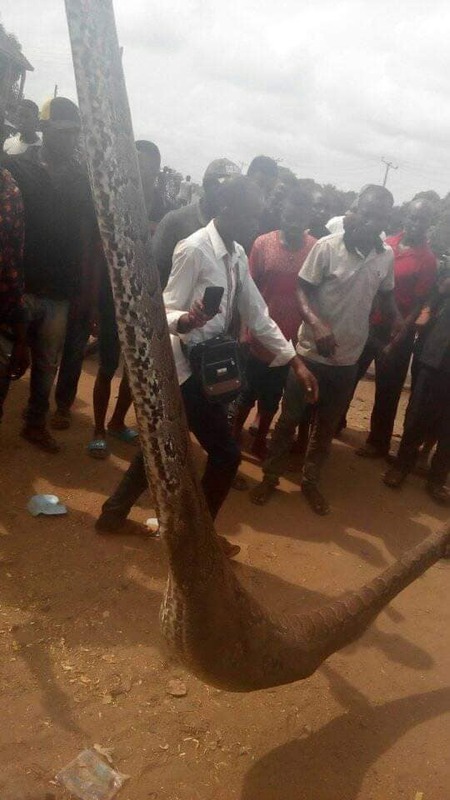 The big reptile reportedly swallowed a dog before it was hit by the discomfort owner. The incident attracted many people as villagers gathered on stage to see the dog owner show his death. It was claimed that the snake was later destroyed and the body of the already deceased dog was removed from his stomach.